On September 7, Equifax announced a system breach which potentially compromised sensitive information for 143 million American consumers, including Social Security numbers and driver’s license numbers. Equifax is a credit reporting agency, which means that anyone who obtains credit likely has a record at Equifax. The records include your name, any former names reported, your current and former address(es), your employer, and all your recent credit files. This level of specific, personal information could be used by identity thieves to trick you into providing bank, credit card, or other sensitive information. Please be on high alert for emails, letters, or phone calls designed to get you to give up even more information. These hackers may have very detailed information, like the amount of your mortgage or car payment, which may make their requests seem legitimate. They will likely also use the news to create a sense of urgency which may make us forget our usual defenses. Equifax has set up a website with information and a portal to enter your name and partial Social Security number to see if you’ve been affected. They are offering a free protection service. However, Equifax’s offer of one year of free protection is not enough, because the information stolen can be bought and sold by hackers for years to come. Energy One encourages you to activate the identity monitoring service available with the Premier One checking account, if you have not done so already. This service monitors over 1,000 databases for your name and information and alerts you to any findings. Then their fully managed identity theft resolution services manage your case until your identity is restored. 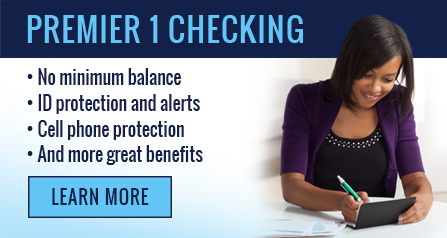 This invaluable service requires registration and activation, and is available to members with Premier One and Fresh Start checking accounts, and their entire households. Registration is required for each person separately for monitoring to be activated. Please call the credit union to obtain the activation code or to switch to a Premier One checking account at 918-699-7100 or 1-800-364-3628.